We will start with the first sign of the zodiac, Aries. To experience Aries energy, it is not just for people who have their sun in Aries and were born in March and April. It is also for people who have other planets in the sign of Aries, their ascendent in the sign of Aries, the nodes in the sign of Aries, or as Aries rules the first house, have a very concentrated first house of planets in your Astrology chart. When Aries energy is stressed there is an immediate frustration which can cause aggression. An explosion of a quick temper, then the energy settles very quickly. You will notice that those who are affected by this energy become irritable and moody when they can’t accomplish their tasks. The Aries energy works very well under pressure, but in doing so, they really push their bodies, and soon become burnt out and stressed. To de- stress Aries and feel more relaxed you need to exercise. Walking, bike riding, hiking, running, going to the gym, any exercise that moves the body is beneficial! 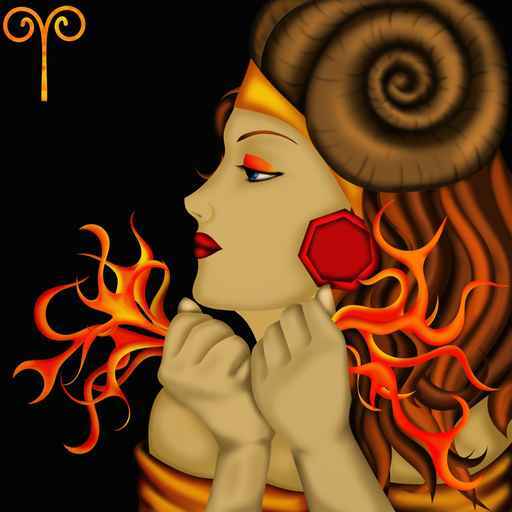 Aries energy is very adventurous, courageous and enthusiastic. Other activities Aries love to enjoy are abseiling, flying planes, skiing and driving fast cars.